For my 31st birthday I went to have dinner with a friend at Island Creek Oyster, a renowned seafood place in Boston. My friend actually works in the wine industry so she was tasked with selecting the bottle and her eyes lit up when she saw that particular bottle on the list. It’s a wine from Sicily, made from Grecanico, a common white grape in southern Italy but there are 2 twists in the wine-making process. First, they leave the grape skins soak with the juice, which is the normal process for a red wine but out of the ordinary for whites. 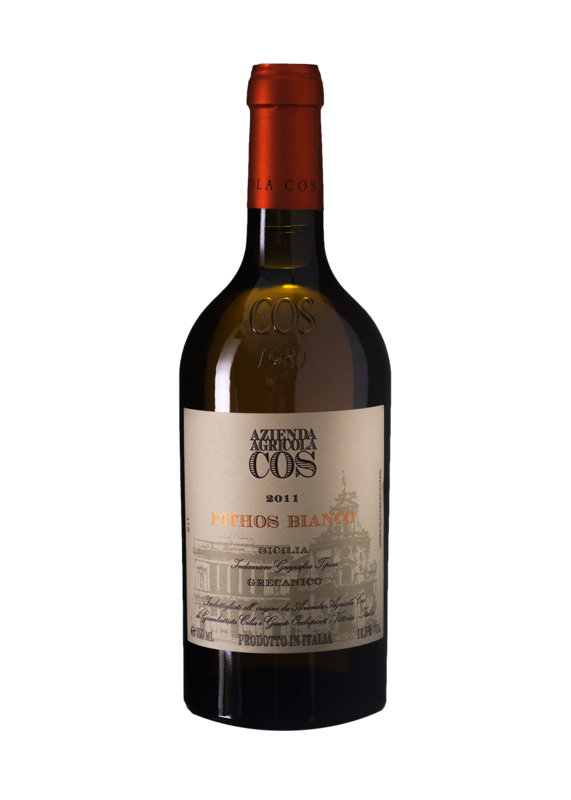 Second, the entire fermentation process takes place in terracotta amphorae. A unique wine-making process should translate into a unique wine, so I waited for the bottle with unfeigned interest. This wine humbled me as a wine lover and a writer both. It is so far out of my system of reference that I’m having a hard time writing about it. It is, literally, unlike anything I ever had. The wine is very well structured, with tannins that mesh well with the acidity and provide good balance. The aromas are definitely salty, with some bitterness and some gamey flavors. Even the color is unusual. I think it’s all because of the approach chose by COS to treat a white grape as if it were a red, in any case it worked, I’m sold. Food pairings: I had raw oysters as an appetizer, took one sip with them then didn’t touch my wine until I moved on to the entrée. It was a bad combination; the slight bitterness of the COS didn’t mesh with the oysters at all. It worked well however with the swordfish I had afterwards. I thought this bitter quality helped make the creamy sauce lighter. I would love to try this wine with white meat. It certainly opens the door to interesting pairings. Overall opinion: Wow. My overall opinion is “Wow”. It’s a unique wine; at least it is for me so far. It’s like nothing I’ve ever had before and it’s, among other things, undoubtedly interesting. That’s one thing I love in wine, sometimes you find a UFO, a wine that makes you forget all those Bordeaux Superieurs that all taste the same. They are not bad, they are just, well, a little bit boring. Sometimes you are surprised, and it’s a good thing. If you get the chance to try it, do not hesitate. I know I will hunt down other wines from this producer anyway.